By NOREEN HYSLOP Managing Editor It is, by all accounts, the largest number of new staff employees in the history of Dexter Schools. When classes resume across the four Dexter campuses on Friday, Aug. 16, 2013, it will be with 28 newly assigned employees. The number is the largest, at least in recent history, due to numerous retirements at the conclusion of the 2012-13 school year, and because of some new roles having been created recently. At least one position is a step up from a non-certified position to a certified staff role. Two new staff members are bus drivers recently hired who were not present for the photo session that followed Monday's staff luncheon held at the high school. Those two are Tonya Chapman and Nonie Reeves. In all, the local school board approved the hiring of 23 certified staff members for the 2013-14 school year, along with para-professionals (aides), an elementary school nurse and one secretary to serve at the Administration Building. Classes begin for Dexter students on Friday, Aug. 16 with one-half day of classes. 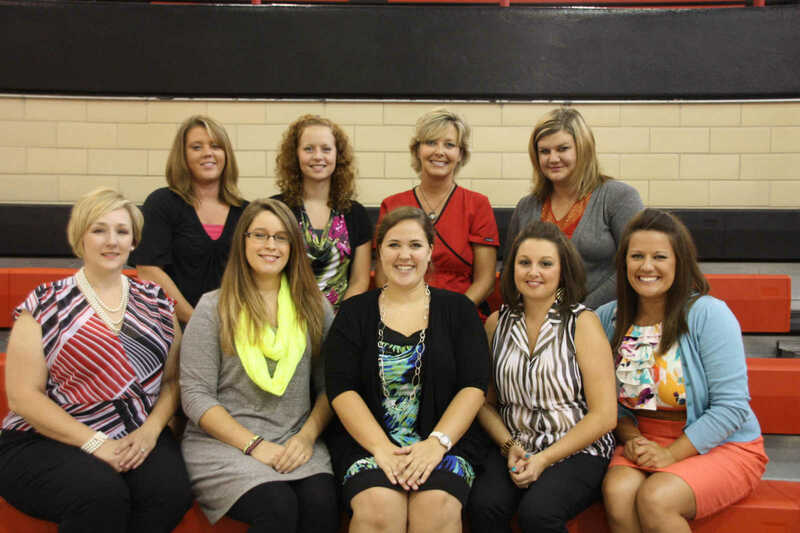 New faces at Southwest Elementary will include (front) Principal Bethany Deal, Special Education Aide Jerrica Clark, Title I Instructor Jordan Boyer, First Grade Teacher Crystal Earnheart, and Kindergarten Teacher Whitney Hyten; (back row) Learning Disabilities Aide Melissa Yount, Special Services Aide Candi Sheets, School Nurse Lynn Averett, and Early Childhood Special Education Aide Evelyn Fortner. The above photo combines T.S. Hill Middle School, High School, and Administrative personnel. 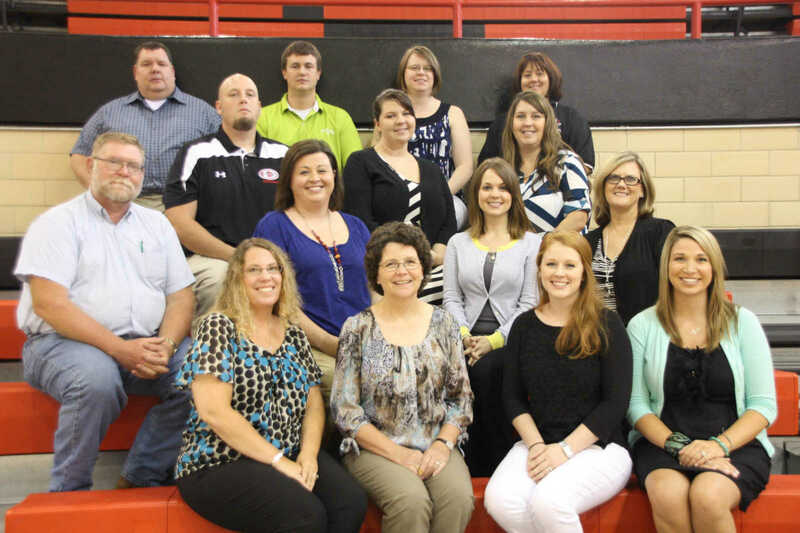 In the front row from left are Director of Special Services Amy James, MOSIS Coordinator Janet Bingham, 8th Gr. Science Teacher Cacie Ramsey, and Middle School Math Teacher Taryn Duncan; (second row) High School Agriculture Teacher Gary Wyman, High School Special Education Teacher Jennifer Peden, Special Services Aide Rebecca Hester, and High Schol Science Teacher Marianne Bruce; (third row) High School World History Teacher and Head Football Coach Justin Peden, High School Science Teacher Celeste Colley, and High School English Teacher Jessica Christian; (back row) High School Principal Dan Pollock, High School Weightlifting Instructor Brice Beck, High School American and World History Teacher Tiffany Wiggins, and High School Science Teacher Tiska Rodgers. 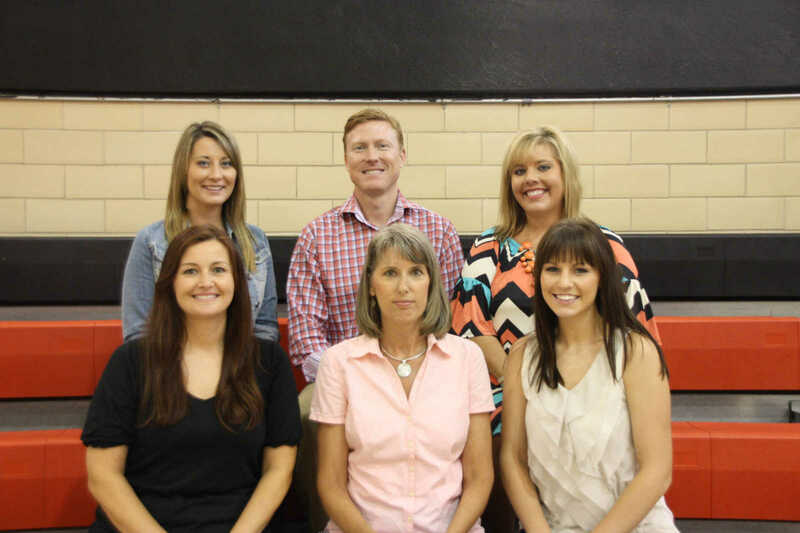 New faces at Central School will include (front) Fourth Grade Teacher Lacey WInchester, Speech Pathologist Tara Mouser, and Fourth Grade Teacher Ashley Burns; (back row) Title I Teacher Saren Demaree, Fifth Grade Teacher Robert Scott, and Fourth Grade Teacher Kristen Mick.